On the 29th of September 2015, John Podesta encouraged actress and writer Lena Dunham to ask Hilary Clinton about aliens in her next interview. Podesta works closely with Clinton in her campaign for the coming presidential election, and moreover has worked for both former president Bill Clinton as his Chief of Staff and Barack Obama as presidential adviser. 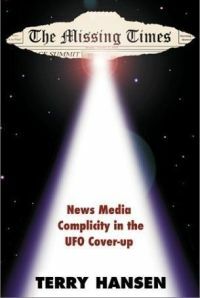 Late in December, former First Lady Hillary Clinton visited the newspaper Conway Daily Sun in New Hampshire, and while there stated that she and John Podesta would look into the subject and get to the bottom of the American government´s involvement with visitors from outer space and the UFOs. In connection with the interview, she is quoted as saying the following: ”I believe that we may already have experienced this (visitors from space), we just don't know with any certainty”. Read article by Daymond Steer in the Conway Daily Sun.